Could Germany's emissions scandal take the shine off one famous car industry halo? Mercedez-Benz maker Daimler is under investigation on suspicion of fitting software that tricks emissions tests in 60,000 cars, according to a report in the Bild am Sonntag newspaper on Sunday. The newspaper said Germany's KBA motor vehicle authority was looking at software in Mercedes-Benz GLK 220 CDI cars produced between 2012 and 2015. A Daimler spokesman said it was reviewing the facts and fully cooperating with the authorities. On Monday, shares in Daimler slipped on the news. (SOUNDBITE) (German) HEAD OF CAPITAL MARKET ANALYSIS AT BAADER BANK, ROBERT HALVER, SAYING: "What's clear is that politics forced very strict emissions standards on automakers while leaving them a lot of freedom in how to meet those standards. I believe you have to finish what you started - and maybe we should keep in mind that the German automotive industry is very, very important. You can't make all these demands on them and then leave them up to them." German carmakers are struggling to move on from the dieselgate scandal, which erupted in 2015, when rival Volkswagen famously admitted to cheating U.S. emissions tests. 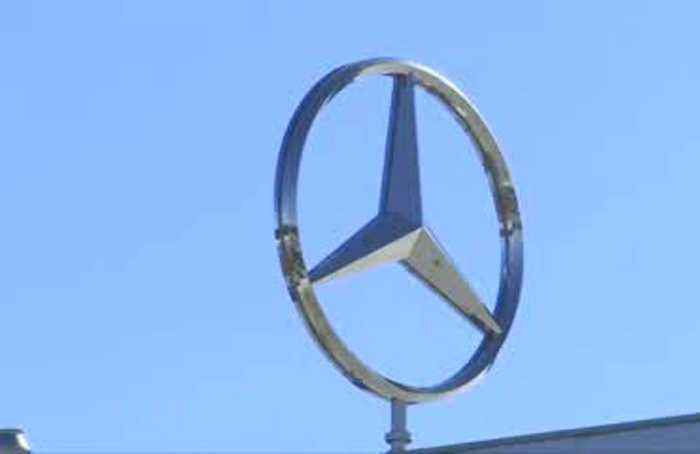 Daimler has ordered the recall of three million vehicles to fix excess emissions coming from their diesel engines. This month, EU antitrust regulators charged BMW, Daimler and Volkswagen with colluding to block a new proposal for emissions-cleaning technology.